THIS IS PART 2 OF A TWO PART EXPLORATION OF WHERE TO FIND THE ETHERIC CHRIST. When His is put away! The mystery of His tears?” “The Seraphim” by Elizabeth Browning. Ador. Turn not. God dwells with men. He dwells with angels; and they love. Materialism standing alone as a belief system is illogical. Can such an eclipsing and one sided belief system suffocate higher spiritual vision? Can the predominating education from childhood to adult life become so overwhelmingly one sided that it strangles or suffocates the germinating power of spiritual intuition and spiritual vision? Well to detail the proof of this question we can look into the entire case of Stephen Hawking. We can take apart everything that is taught at every level of public school on into university, where students from childhood to Sentient Soul and Intellectual Soul levels, from nineteen to twenty-eight years, have the cohesion of how the material and spiritual worlds are clearly interwoven and integrated, shattered into a thousands fragments of Humpty Dumpty. What is that too wide and sweeping and general for ya? “In order to understand the Origin of the universe, we need to combine the General Theory of Relativity, with quantum theory. The best way of doing so, seems to be to use Feynman’s idea of a sum over histories. Richard Feynman was a colorful character, who played the bongo drums in a strip joint in Pasadena, and was a brilliant physicist at the California Institute of Technology. He proposed that a system got from a state A, to a state B, by every possible path or history. Each path or history, has a certain amplitude or intensity, and the probability of the system going from A- to B, is given by adding up the amplitudes for each path. There will be a history in which the moon is made of blue cheese, but the amplitude is low, which is bad news for mice. Well first let me place before our eyes, and indeed placing things before our eyes, and before our pineal eyes and before our calcite crystal brain sand eyes, we place before our eyes the unfolding logic of why this Etheric Christ Glimpses 2 should concern us, is just because of the illogical lack of cohesion of Materialism itself. secretes out of itself the so-called brain sand, minute lemon-yellow stones which lie in little heaps at one end of the pineal gland, and which are in fact the mineral element in the human head. If they do not lie there, if man does not bear this brain-sand, this mineral element, within him, he becomes an idiot or a cretin. In the case of normal people the pineal gland is comparatively large. In cretins pineal glands have been found which are actually no larger than hemp seeds; these cannot secrete the brain-sand. Logically below the human community are the horizontal animal group souls and various species with their clearly highly developed specialized talents and skills. And the next placement of the phase of logic rises to the clear community of the Angels which stand one stage above humanity. In logical unfolding, including materialistic science of all stripes, we include under the most obvious laws, humanity as the tenth hierarchy with nine hierarchies of ascending and powerful stature that rise above our current media driven sense perception. With this inclusive Logic at our disposal, we have already broke the bounds and chains that bind materialism, and overstepped where all education and university schooling has fragmented, digitalized, pixelized perception, fragmented the soul life, and cohesive Intellect has been successfully blocked, from approaching exactly how the Christ Event and the Mystery of Golgotha maintain a clear cut logical pattern, from Jesus to the Angel Community. Yet the current mental barriers and failures of logic prevent the entire swath of materialism, loaded with spoiled selfishness on one hand and shattered and fragmented logic; loaded with imploded, shattered and prevented hopes and understanding of childhood and adolescence and on the other hand to careers and Intellectual Soul age fads, fashions, trends and media hype that continue imploding and shattering any inner sense of logic as to how the human community fits into the entire scope of Creation as a system of reality. Big babies who call themselves scientists and adults continue to breast feed the ‘Big Bang’ in order to simplify and stupefy and dumb down the entire wave of joy in the quest for knowledge, and crash, fragment and splinter the wreckage of the cohesion and logic of the inner and outer world on the rocks of materialistic fantasy. This challenging terrain is what we call current university education. The aim of this so called higher materialistic education, when considering the Tenth Hierarchy, is that of disinformation, disenfranchisement and substituting false idols against concrete ideals. It will be convenient for you to worship what everyone else worships. That is supposedly Money, God, Corporatocracy, and Nationalism verging on Facism. You will be far more comfortable if you exclude the reality, dynamic and intelligence of the Angelic Community. For the Angelic Community cannot square itself against materialism and in any case if there were Angels why have they let us, a part of their divine family, fall into such nightmares of deception? The purpose of the vast world of Angels and Demons tangled in the sub strata of the human soul is to place each of us in a position of choice and FREEDOM. The game is rigged and the entire deck of cards is stacked against the unarmed soul and that is the intent, to keep the soul unarmed and undefended in itself and never gain a cohesive and solid sense of the order and vast logical system in which humanity has been placed as the Tenth Hierarchy. This means that before we have even understood our choices we are tossed into the game and given certain preconditions. These preconditions shine a path of jobs, intelligence, sharing the same flattened, beige mental state, the same bleached out intelligence that suits the same materialism that has helped land the west in the current predicament of lies, hypocrisy, Corporatocracy and the deadly game of chicken we are playing with our own fallen Ahrimanic shadows. By excluding humanity as the Tenth Hierarchy, by dismissing the vivid trails that lead us to the vast structure of creation and help us to recognize the various participating worlds around the human psyche, we are taken like sheep to a slaughterhouse. And every adult in order to fit in at the water cooler and at the local bar, restaurant, club, family gathering and sports event and not stand out as ‘different’ and consider themselves lucky enough to be awarded a cubicle, to have a job, just like the cubicle that fit Mr. Anderson, Keanau Reeves in “The Matrix” or the film “Office Space”, we go into debt to be allowed to get an education and a stamp of approval from the prevalent brand of Ahrimanic Materialism. We are armed with the dull thinking capacity that suits everyone around us and we are free to mock, date, drink and be accepted, because we are numbed by the sheer plethora of media into an Ahrimanic stupor. What becomes of us, is that we are the Sleeper Cells, we are in our souls dead asleep and walking through the Maya that was depicted in the Matrix and we are shepherded by Ahrimanic thought police. Currently all idiotic talk about how America is out everywhere as an Occupation Army over the whole Earth as an Imperialistic, fascist occupation force of Coporatocracy, stems from how much Ahriman, since Ahrimanic beings were kicked out of the Heavens by Archai Michael just after 1879 and thrust down into human heads, and thrust down as an occupation army with their own set of terrorist plans to regain their kingdom through the human soul, we are hosts to a vicious occupation army that distorts and betrays our thinking so that we ourselves betray our own humanity. Terrorism is the current brand name to mask the Wests fall into Ahrimanic enslavement by losing their intrinsic humanity. It is not if, but when we don’t recognize and face Ahriman in ourselves we lose our humanity to cliches, sound bytes and catch phrases that merely stir dead embers of patriotic puppet behavior. All the while Ahrimanic beings are inside us pulling the strings that we are dancing to. What happened to John Nash and what is happening through materialism, is the densification of the shadow or Ahrimanic double that accompanies humanity. Schizophrenia and a system of abstract equations that represent a REAL universe in “A Beautiful Mind” becomes a mind game plagued by the incessant whisperings of a shadowy Ahrimanic double. This unreal and impossible shadow will densify the longer humanity remains frozen in the clutches of immoral, abstract materialism that justifies our inhumanity and finally makes it into law. In such a current and arising psych-ops culture to think otherwise would require the immediate thought police. The reading of our gestures, and psychological profiles are the early beginnings of creating the Shadow thought police that become the secret intelligence services of Mr. Smith in the Matrix. We are in the process of densifying and solidifying these Ahrimanic forces in us so that a real shadow will grow out of us and continue to whisper lies, until the lies about our humanity become the daily bread of sustaining the Ahrimanic shadow attached to each and every one of us. And this Ahrimanic Shadow is already here. We are numbed into slumber and forgetfulness of the logical reality of the Angel Community and our own Spiritual Scientific entrance of our astral bodies and I AM’s into the stream of etheric heredity and physical incarnation from the inner laws of the stars themselves, into the biological laws of our bodies. These specific studies and insights have been neglected, betrayed and discarded. Not because there is an error, but because Ahriman works to undermine and deceive any other brand but itself in psychology, economics, medicine, education, agriculture, political science and covert Ahrimanic Central Intel. The very fact that we disavow the reality of Mephistopheles and Ahriman, as real forces and discount our Angels and refuse to include etheric, astral, and I AM systems or that we shun investigating the Nine Hierarchies above humanity should tell us clearly how our logic has been hijacked. 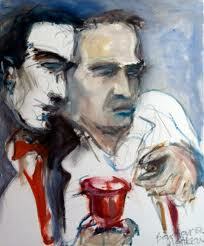 We happily disavow and dismiss, to our peril, our very own Angels as dynamic inspirations of human intuition. “There’s the Rub….”There’s the Rub”. We are forced in our FREEDOM into a pale, mouse like nihilism which cannot determine what is inner and what is outer or what is subjective and what is objective. We force ourselves to accept half-lies about religion and the Christ event, which should clearly bring a deepened Science of humanity. And that is the bind and the true state of Hamlet’s Ahrimanic Nightmare. We find ourselves unable to embrace the phase of the Consciousness Soul[Spiritual Soul] that we are currently in. With that written as the ground rules to Etheric Christ glimpses 2, we can now grapple with the Christ Event of Golgotha and how it has logically progressed through time. Which means we follow out the well laid out plans of Logic, not miracles, not submerged one sided theories of materialism, not hijacked words like ‘intelligent design’ but actual design by intelligent cosmic beings. Not creationism, but overcoming our little narrow brain dogmas and following the line and magnificent construction of the Divine with our wonderful humanly endowed reasoning. We have managed to avoid gaining a wider picture of the universe by failing to review “Occult Science an Outline” because we prefer not understanding the brilliant super structure of creation and how humanity fits into it. A secondary back up to the research of “Occult Science an Outline” is the remarkable research work of Kees Zoeteman’s “Gaiasophy“. Time and human evolution, the planning and systems where humanity has arisen, remains intimately logical against the arbitrary theories we are fed at university. If we include the Nine Hierarchies above humanity and the groups souls of the animals and the realm of the etheric plants and silent stones, we find a vast system of logic in creation that would demand that we re-evaluate our entire educational haphazard conglomeration of a primitive mud god idol that we worship, having tossed together, slapped layer upon layer of mud and shaped it into a straw and mud figure we call humanity. We want to be fed simple materialistic fairy tales so we won’t be shattered by the stunning logic of the Divine. How convenient, how cowardly and how so easily brainwashed into the fallen Ahrimanic mockery of humanity we’ve become. Nobody learns the true IMAGINATION of humanity as the Tenth Hierarchy. The historical events that caused the entire educational system to be plunged into the darkness of the Ahrimanic Imagination of the position that humanity holds with the Christ Event and amidst the higher worlds is the running picture of nihilism and Nietzsche’s nightmare. Only in Nietzsche’s nightmare, Ahriman managed to take over the functioning brain of Nietzsche in a horrific act of possession that is now the nightmare that every student must face, as every university teaches the debauched and debased Image of Humanity that Ahrimanic Beings have offered. The entire Ahrimanic educational system mocks humanity as the Tenth Hierarchy and rebukes, suffocates, murders and crucifies for a second time, the very Angel that is carrying the Christ upwards. In order to follow the Christ further and recognize the new IMAGINATIONS that are arising out of the cultural and artistic visions of humanity we need to comprehend the transition from Jesus the human being to the Angel community who have carried upwards the revelation of the human events of Golgotha, into the neighboring and intimate world of our own Angels and how our own Angels bleed their experience of the Christ Event for humanity, back into the inner life of our own human sphere. “Reference shall now be made to the event in the higher worlds which has led to this altered state of affairs, to this time of a renewal of the Mystery of Golgotha. When we look back we remember what came to pass at the Baptism by John in the Jordan, when Christ revealed Himself in a human form, visible on the earth among mankind. Further, we will fill our souls with the thought of how, as regards His outer form, Christ then united Himself with the Hierarchy of the Angels and has since that time lived invisibly in the sphere of the earth. “Let us remember what has been said — that in the invisible worlds there is no death. Christ Himself, because He descended to our world, passed through a death similar to that of human beings. When He again became a spiritual Being, He still retained the remembrance of His death; but as a Being of the rank of the Angels in which He continued to manifest Himself outwardly, He could experience only a diminution of consciousness. “Through that which since the 16th century had become necessary for the evolution of the earth, namely the triumph of science at higher and higher levels, something which has significance also for the invisible worlds entered into the whole evolution of mankind. With the triumph of science, materialistic and agnostic sentiments of greater intensity than hitherto arose in mankind. In earlier times too there had been materialistic tendencies but not the intense materialism that has prevailed since the sixteenth century. More and more, as men passed into the spiritual worlds through the gate of death, they bore with them the outcome of their materialistic ideas on the earth. After the sixteenth century more and more seeds of earthly materialism were carried over, and these seeds developed in a particular way. “Christ came into the old Hebrew race and was led to His death within it. The angelic Being, who since then has been the outer form assumed by Christ, suffered an extinction of consciousness in the course of the intervening nineteen centuries as a result of the opposing materialistic forces that had been brought into the spiritual worlds by materialistic human souls who had passed through the gate of death. This onset of unconsciousness in the spiritual worlds will lead to the resurrection of the Christ-consciousness in the souls of men on earth between birth and death in the twentieth century. In a certain sense it may therefore be said that from the twentieth century onwards, what has been lost by mankind in the way of consciousness will arise again for clairvoyant vision. At first only a few, and then an ever-increasing number of human beings in the twentieth century will be capable of perceiving the manifestation of the Etheric Christ — that is to say, Christ in the form of an Angel. It was for the sake of humanity that there was what may be called an extinction of consciousness in the worlds immediately above our earthly world, in which Christ has been visible in the period between the Mystery of Golgotha and the present day. “At the time of the Mystery of Golgotha something took place in a little-known corner of Palestine, something that was the greatest event in the whole evolution of humanity, but of which little notice was taken by the people of that day. If such a thing could be, need we be astonished when we hear what conditions were like during the nineteenth century, when those who since the sixteenth century had passed through death, confronted Christ? “The ‘seeds of earthly materialism’ which were increasingly carried into the spiritual world by the souls who went through the portal of death since the sixteenth century, and which caused more and more darkness, built the ‘black sphere of materialism.’ Christ took this black sphere into being in the sense of the Manichean principle for the purpose of transforming it. For the angel being in which the Christ had manifested himself since the Mystery of Golgotha the black sphere caused a ‘death by suffocation.’ This sacrifice by Christ in the nineteenth century is comparable to the sacrifice on the physical plane through the Mystery of Golgotha and can be called the second crucifixion of Christ on the etheric plane. This spiritual death by suffocation, which brought about the extinction of the consciousness of the ang elic Being is a repetition of the Mystery of Golgotha in those worlds that lie immediately behind our world. It took place to make possible a revival of the Christ consciousness which was earlier hidden in human souls on earth. The revival becomes clairvoyant vision of humanity in the twentieth century. “Thus the Christ-consciousness may be united with the earthly consciousness of men from our time on into the future; for the dying of the Christ-consciousness in the sphere of the Angels in the nineteenth century signifies the resurrection of the direct consciousness of Christ — that is to say, Christ’s life will be felt in the souls of men more and more as a direct personal experience from the twentieth century onwards. “Just as the few who once were able to read the signs of the times and in contemplating the Mystery of Golgotha were able to realize that Christ had descended from the spiritual worlds to live on the earth and undergo death in order that through His death the substances incorporated into Him might pass into the earth, so are we able to perceive that in certain worlds lying immediately behind our own a sort of spiritual death, a suspension of consciousness, took place. This was a renewal of the Mystery of Golgotha, in order to bring about an awakening of the previously hidden Christ-consciousness within the souls of men on the earth. “Since the Mystery of Golgotha many human beings have been able to proclaim the Name of Christ, and from this twentieth century onwards an ever-increasing number will be able to make known the knowledge of the Christ that is given in Anthroposophy. Out of their own experience they will be able to proclaim Him. “Twice already Christ has been crucified: once physically, in the physical world at the beginning of our era, and a second time spiritually, in the nineteenth century, in the way described above. It could be said that mankind experienced the resurrection of His body in that former time and will experience the resurrection of His consciousness from the twentieth century onwards. “The brief indications I have been able to give you will gradually make their way into the souls of men, and the mediator, the messenger, will be Michael, who is now the ambassador of Christ. Just as he once led human souls towards an understanding of Christ’s life descending from heaven to the earth, so he is now preparing mankind to experience emergence of the Christ-consciousness from the realm of the unknown into the realm of the known. And just as at the time of the earthly life of Christ the greater number of His contemporaries were incapable of believing what a stupendous event had taken place in the evolution of the earth, so, in our own day, the outer world is striving to increase the power of materialism, and will continue for a long time to regard what has been spoken of today as so much fantasy, dreaming, perhaps even downright folly. This too will be the verdict on the truth concerning Michael, who at the present time is beginning to reveal Christ anew. Nevertheless many human beings will recognize the new dawn that is rising and during the coming centuries will pour its forces into the souls of men like a sun — for Michael can always be likened to a sun. And even if many people fail to recognize this new Michael revelation, it will spread through humanity nevertheless. “That is what may be said today about the relation of the Mystery of Golgotha which took place at the beginning of our era and the Mystery of Golgotha as it can now be understood. From time to time other revelations will be given and for these our minds must be kept open. Should we not be aware that it would be selfish to keep these feelings exclusively for our own inner satisfaction? Let us rather feel that the solemn duty we have recognized through Anthroposophy is to make ourselves into willing instruments for such revelations; and although we are only a small community in mankind which is endeavoring to comprehend this new truth about the Mystery of Golgotha, to grasp this new revelation of Michael, we are nevertheless building up a new power that does not in the least depend upon our belief in this revelation but simply and solely upon the truth itself. Then we shall realize that only a few of us are adequately prepared to declare the following to the world, in so far as the world is willing to listen. “From now onwards there is a new revelation of Christ; we will be ready to acknowledge it; we will belong to the few who will help it to become more powerful, to become lasting; we will base ourselves upon the inner strength of such a revelation, so that it may spread among mankind, for this knowledge will gradually be shared by all. Let us translate this insight into a base and solid understanding. The entire Science and Logic of humanity has been narrowed to a dangerous eclipse. Humanity in the world of nature stands as the Tenth Hierarchy. 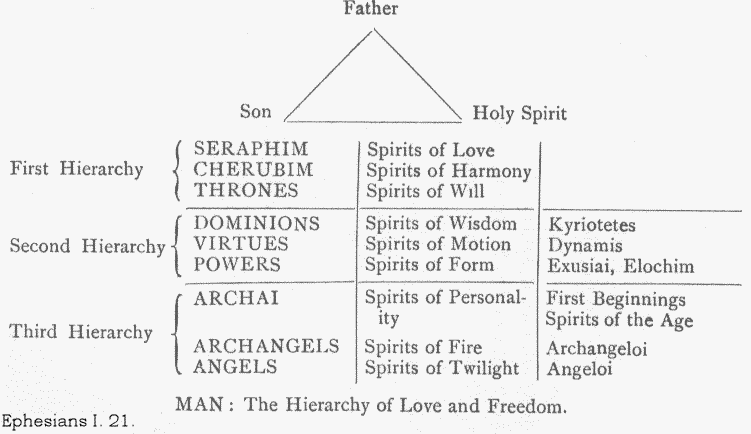 The Angels are at the Ninth Hierarchy. Let us look carefully at the Logic. Stone is the lowest visible kingdom in nature. Plants and foliage are the next visible kingdom, and both the world of stones, metals and precious stones and their families and plants, their forms and their virtues are two separate but evolving kingdoms, each rich with the insights of physical science and etheric sciences. The Animals and their groups and their specialized abilities combine physical, etheric and nervous system designs in mobile entities. The animals include specialized studies of the astral body. With the film “Temple Grandin” we understand the very region of the astral body that humanity has failed to comprehend. The difference between the damaged astral body and the healthy astral body is understanding the nature of the astral body and understanding that in the delicate beginnings of human childhood, if certain injections with mercury are forced into the forming of the higher senses of the tiniest child, “this that we do to the least of these, we do to the Christ in ourselves as well” we can bring about a disruption of the cohesion of the astral body as a thinking and organized sense system. The film about “Temple Grandin” and her relation to autism and millions of cases of autism are specialized studies in higher capacities of the astral body that the Angels had created for the divine model of the human being. Autism reveals a special study of the distortions of our very own higher capacities, savant and genius level capacities that can be disrupted in the organization of the astral and nervous system. In particular the starry design of the twelve fold nervous system, known as our TWELVE CRANIAL NERVES, are our specific navigational astral body maps that we have brought with us from the stars. Each child brings with them into their biological development and their brain development, a particular overlaid star map that form fits itself into the Twelve Cranial nerves and develops slowly as the astral body is inserted from 7 to 21 years. What this means is that the pressing in of the astral body our ability to reproduce children, to have a monthly menstrual cycle and to have the etheric body receive the particular forces of the personality and unique astral forces of the soul, our media life, through our disjointed and bad education and our materialistic parenting instincts we have forced the astral body to enter prematurely. Menstruation sometimes begins in girls at age eight or nine. These disturbances in the environment and in the astral body disrupt the healthy setting and the placing of the gemstone of the higher personality into the prepared setting of what the parents and environment have supplied as heredity and a living life situation. After the numerous injections from our Ahrimanic medical community have compromised the immune systems of the children, giving them say between 20 to 60 childhood injections before the age of three, we come to another warning that Steiner placed how the Christ Himself attempts, through our human intelligence to guard all children to arise, stand, walk and begin speaking, Christ prepares all human children, while we destroy the immune system and nervous system of those very children. Than, when the damage begins to show itself the adults force the child into Pharma dependency. The new Pharma dependency damage creates a pseudo ‘normal’ warped personality that do not show the obvious radical cracks that have been created in the astral and nervous system. There are clear cut attacks underway to disrupt, distort and shatter the healthy cohesion of the astral body because of the fact that our relation to our Angels, (for it is they that had designed our Nervous systems in the Old Moon evolution), it is our relation to the Angel Community that now carry the forces that are revealing the cultural and intimate IMAGINATIONS, films and media that reveal super heroes with distorted higher powers, eternal vampires, Archangels, Angels, and Angels and Demons, elemental beings and clairvoyant capacities. 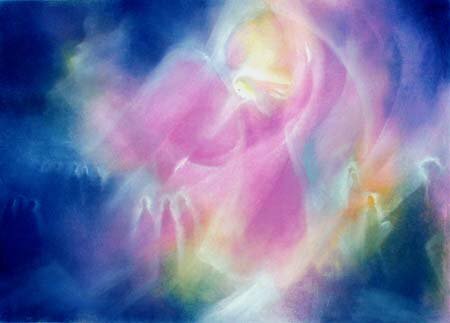 However these creations and interpretations of the Angelic Community come through the distorted thought and picture process of human beings who are catching higher waves of insight they cannot bring into healthy order in themselves. The Angels were always called The Sons of Twilight. We are now being challenged via a back door channel of black romanticism, the occult romanticism of having immortal vampire lovers and an entire Vampire fan base that has linked everything about the Angelic Community to the astral development of silly sensual attractions of our immortal Dark Lovers. “Twilight Saga: Eclipse”, like so many other fads, like Michael Jackson’s fan club has opened themselves to seeking some immortal dark fairy tale of themselves that allows them to keep their youthful sensuality, but does not allow them to see into the real spiritual history of humanity and gain insight into the true Angelic Lovers that we have that now are forced to appeal to our lowest instincts because our higher Intelligence has been thwarted by bad taste and fatal flaws in human courage and education. “Looking from man upwards to higher kingdoms, we have to begin with three kingdoms which interest us. In accordance with Christian esotericism, we call the kingdom immediately bordering on the human the realm of the Angels they are also called Spirits of Twilight. Then there is a second kingdom, higher than the Angels, the kingdom of the Archangels; they are also called the Spirits of Fire. Lastly there is a still higher kingdom, that of the Archai (Original Forces or First Beginnings), called also the Spirits of Personality. These are the three kingdoms next above man. Being awash in such uncharted regions sets humanity adrift with no ability to center themselves on just what in the intimacy of our own quiet lives allows us to read the intimate script of our Angels as they and WE are caught in the swirl of the ZeitGeist and the Archai Michael. 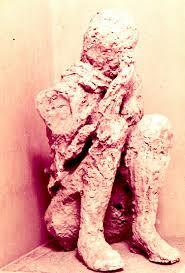 All of which is considered merely fantasy by materialism, which is in itself, as materialism, a complete failure of logic.and in itself a decadent mud idol thrown together by Ahrimanic beings. 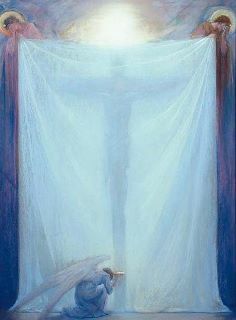 It is humanly logical to include the events in the Angelic Community since the Christ experienced events of the Crucifixion in and through our very own Human Community, and experienced the Resurrection and his rising into the Angelic Community through the fact that Christ wore a human form. Christ has taken all our human experiences with Him, so the intimacy of the Angelic Community is now rayed through with all the values of our higher humanity. However, we as humanity, are still trailing way behind in our logic. We are still teaching in every medium of education an Ahrimanic Imagination of the human being and nowhere in this piecemeal ahrimanic fantasy is the revelation of humanity as the Tenth Hierarchy. The tragic consequences of how materialism eclipsed and overwhelmed the Angel that held all our divine human experiences gathered by Christ from Golgotha is now repeated through countless human tragedies, until such time as humanity catches up to the current workings of THE ANGELS WORK IN THE ASTRAL BODY OF HUMANITY. Currently in particular the Vampire Saga, “Twilight Saga: Eclipse” is directly in line, directly on line, directly dead center on the study of THE ANGELS WORK IN THE ASTRAL BODY OF HUMANITY. In order to understand the current of unconscious black romanticism that has been sucked down into the lack of understanding that humanity refuses to take hold of, we have to go over with a fine tooth comb the stirring study called The Angels Work in the Astral Body of Humanity. This will help anyone who is still forcing the Angelic and higher worlds to be pressed down through the density of dark human understandings of immortal beings and TWILIGHT and SONS OF TWILIGHT and distorted, darkened insights into the occult to gain an accurate perspective of the true workings of The Angels in the Astral Body of Humanity. It is essential to gain a clear understanding or our intelligence and human understanding will continue to sink. The point is that we can be flooded with imaginations through films, flicks and cinema that will indeed reveal fragmented pictures and distortions of The Angels Work in the Astral Body of Humanity, but it is our own human destinies and our own lives and the intimacy of the laws of the logic of the advance foundations of Spiritual Science that can antidote and clear up the facts from the fantasies. Without Spiritual Science logic in the mix a healthy relation to the Angelic Community is in horrific jeopardy and this jeopardizes the deeds the Christ has accomplished for the whole of humanity. We can study at universities and come away with a dense eclipsed vision of materialism, that will precisely push us into the experience of hopelessness and vacancy, soul death and eclipse that the Angel Community experienced as Christ passed through their region. This is something that is better experienced consciously than unconsciously. However the Christ carried with Him all the human living, and wrenching forces that only this Super Divine Being, a Sun Being could bring to the hierarchies. It is Christ who won for humanity and who created the model of the immortal I AM for humanity, restructured the fall of humanity to make way for the unfolding of higher stages of development that starts with the human I and unfolds transforming Spirit Self-hood of the astral body into the Angelic Community; transforming Life-Spirit of our etheric bodies into Archangel cognition and finally at the very base of matter itself, transforming Spirit-Man, transforming the physical body itself into a higher Divine Being. All these cosmic facts and Spiritual Science transformations were wrought on Earth by the Christ Being and carried up into the Angelic Community by the Angel who bore the Christ Being. Just as our own human Jesus bore the Christ in the realm of humanity so after Christ had suffered the extremes of Earth life and death, he entered with his human experiences into the Angelic Community. This is just the advanced logic of coming to terms with the shocking reality that there is a foundational order in the universe, from stone, plant, animal, HUMAN, to Angel, Archangel, Archai and that we have miserably failed holding up our end of the bargain. We are failing in developing the depth and vision of the Consciousness Soul[Spiritual Soul] enough to expand the dysfunctional borders we have created through our materialistic fantasies that literally imprison ourselves behind a wall of self-satisfied and self-created materialism. This imprisoning and eclipse magnified a thousand fold is not only what autistic children experience as hyper torture of their sense systems, but these hyper experiences of Post Traumatic Stress Disorder and hundreds of nervous disorders are just a glimpse in human terms of what our Angelic Community is experiencing. But because Christ has taken our Human and Divine experiences from the Earth with Him upwards into the Angelic Community, humanity will be forced to experience the horrific tragedy that we inflict by our ignorance through out the human, natural and divine worlds. What our Angels and the Angel Community experienced of the eclipse of the Christ Being’s Angel, humanity is experiencing spread out a hundred fold in tragedy, in covert Ahrimanic Pharmaceutical attacks on our children; in vast Luciferic distortions of true human moral clarity and courage; and in the undermining and brutal Ahrimanic occupation of our Intellectual Souls by fallen Ahrimanic beings. These Ahrimanic beings were exquisitely represented by Mr. Smith in the entire Project for a New Ahrimanic Century or better called Project for a New Ahrimanic Humanity offered by the “Matrix Series”. The Ahrimanic forces are working to undermine the entire healthy understanding of the Intellect and Consciousness Soul region of humanity by presenting every distortion of materialism, nationalism, racism, genetics and horrific inhuman and terrifying weaponry in it’s arsenal, through disinformation, shills, lies, torture, murder…it matters not, the Angels message of the Christ Being must not get through to humanity in a healthy logical form. That is the mission of the Ahrimanic invasion force and appropriate cosmic terrorists that occupy the region known as the human Intellectual Soul. And to the fantasy of materialism, there is no such region as the Intellectual Soul, therefore there are no such beings, ahrimanic beings, who have leeched themselves into our souls as cosmic parasites. If we as humanity took the healthy vision of the Etheric Christ and the logic of the Angelic Community that is absorbing the Christ in it’s realm now, and waded out into the Science of the Spirit to meet them, we would know how to SEE Ahriman in the workings of the soul of humanity and in our individual soul structure and be able to antidote it. This could be easy, fun and without a doubt, given the conditions today, dangerous. Because in the case of Ahrimanic infringements into human freedom, Ahriman can only act and disrupt and cause the tragedy it causes in humanity because humanity refuses to face Ahriman in itself and face-off with our own Ahrimanic double and literally look at it, even if it is us, and say wisely, Get Thee behind us Ahriman, for humanity comes first before lies. We must learn to know the liar that we are and the lies we continue to disseminate and realize that even that mature confrontation in ourselves prepares us to hold our humanity through the dark passage that our Angels and the Christ Angel has already passed through. The fatal error, as with all Spiritual Science facts, is that by thinking that Christ removed the sins of humanity at His Crucifixion and Resurrection in the realm of Earth, and that the Angel of Christ has already suffered suffocation and eclipse due to Ahrimanic materialism, that all humanity is required to be is complacent. On the contrary, humanity is living through and recreating the very errors that will cause the tragedy to engulf us further because in fact we have Intel into the Angelic Community events and we have Intel that vast Ahrimanic legions of forces have been thrust into the human intellect and now operate within human Intelligence as a mimic and deceiver of human intelligence. And this is confirmed every single day in every media event and every encounter we have. Finally, because this updated Intel has been given to humanity, humanity is now responsible for damage control and adjustments. Humanity must critically review education, religion, science and most of all Art and the Imaginations that Art and inspiration send vividly coursing through the veins and life blood of humanity. Education must become an Art, and topping the list, humanity must study what the Angels goals and dangers are in relation to the unfolding of their mission and our mission. Once any serious understanding of humanity as the Tenth Hierarchy is maintained than the serious position of humanities ethical and moral education to our fellow human beings becomes acutely clear cut. Humanity does not live by bread alone but by the very inspirations, imaginations and accurate Intel of the Science of the Spirit in the ongoing development of the Christ Revelation and our job as the Tenth Hierarchy is to revise and review the new Intel that places us currently under the Archai Michael’s Zeitgeist systems organization. the two Seraphim, Ador the Strong and Zerah the Bright One. Ador. O SERAPH, pause no more! Beside this gate of Heaven we stand alone. Zerah. Silent upon the glass-sea shore! Whereby all life hath lived.